Last week I shared this post on my wellness instagram and it was a huge hit. Some people don't always think about adding in a room or bathroom spray with their essential oils and while soft Springy ones that air on the side of floral are always nice, I'm a vanilla girl at heart. Somewhere around Christmas I made this and it's been a tried and true love in our home and all the bathrooms now. We're making this with a 16oz glass bottle in mind so adjust your ratios if you're using bigger or smaller containers for storing and putting around your home. Directions: Top with distilled water + shake! Here is a list of all my favorite oil goodies from Amazon and I've linked a few below. 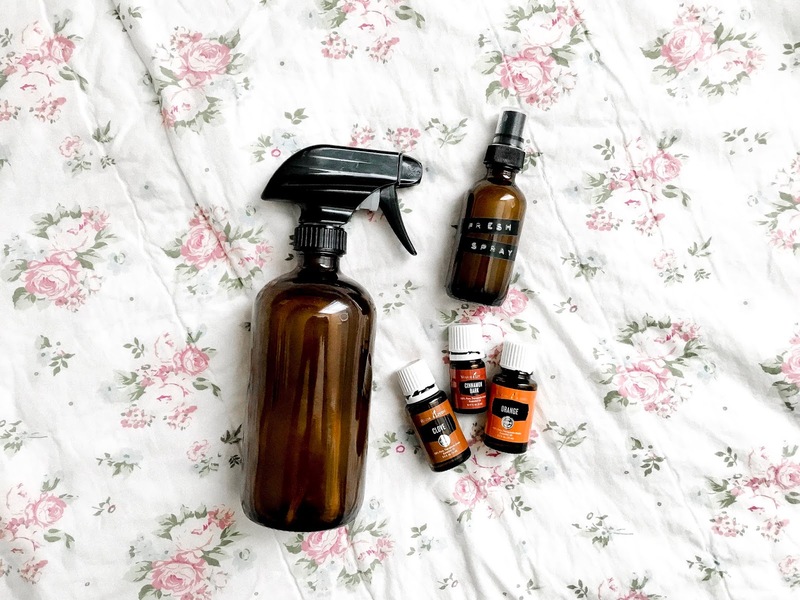 Think about these as your Essential Oil Tool Kit so if you're already using them or just jumping in and need to grab some things to be successful, this is your list!